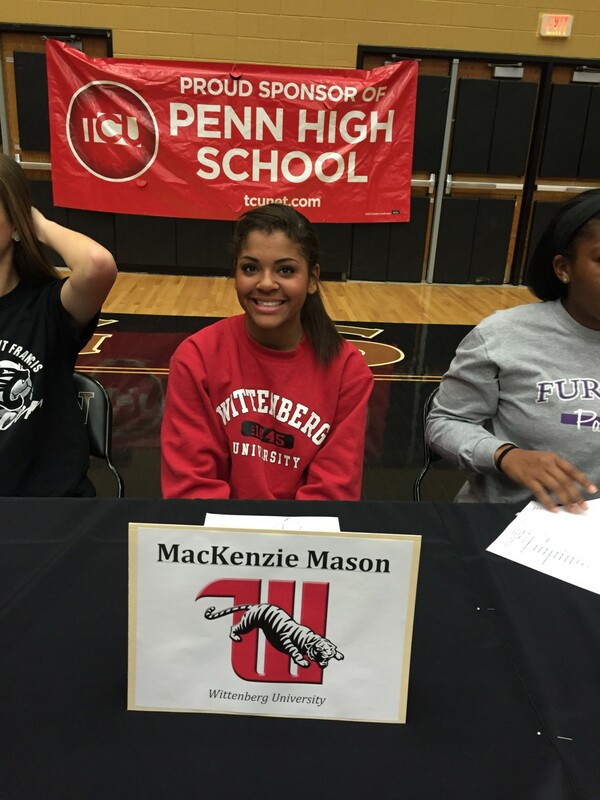 Penn girls soccer star Mackenzie Mason signed to Wittenberg University to further her academic and athletic goals on November 11, 2015. Mason chose Wittenberg, because she loved it from the moment she got there, and it felt just like home away from home. She’s choosing to major in Sports Management to hopefully manage a sports team or sports players in her future. Factors that went into her decision to sign with Wittenberg were the coaches and the other soccer players she had the opportunity to meet on her visit. Penn has taught her a lot about her academic goals and how to reach them, and has pushed her to be a better team player and leader during her 4 years on the Penn soccer team. “It’s a great feeling to know where I’m going in my future, and I’m so excited for next year!” Mason said.